Home » News » Park Owner Mauled By a Lion in Marakele animal sanctuary, Thabazimbi. 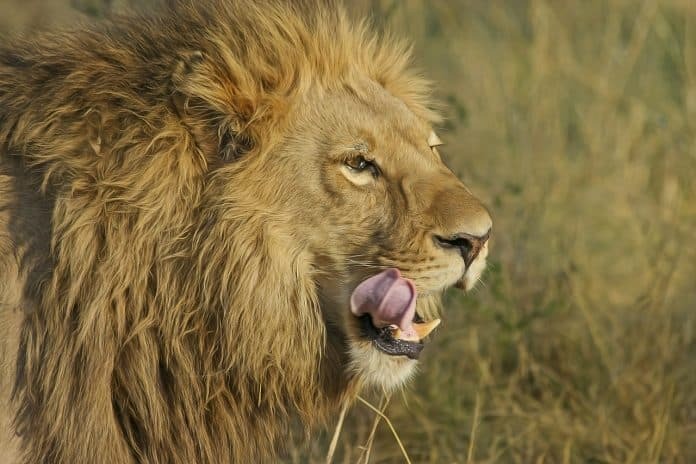 Park Owner Mauled By a Lion in Marakele animal sanctuary, Thabazimbi. A British wildlife park owner has been mauled by a male lion in South Africa after entering its enclosure. Mike Hodge was pounced on by the lion as he tried to leave through a gate. Video footage showed him being dragged off towards bushes. Onlookers could be heard screaming during the incident at Marakele animal sanctuary in Thabazimbi. It was reported that Hodge entered the lion’s enclosure over concerns about a smell in the compound that was bothering it. A South African police spokesman, Lt Col Moatshe Ngoepe, told News24 that Hodge had sustained injuries to his neck and jaw in the incident on Monday. “The owner was immediately taken to hospital with serious injuries. He is currently recuperating,” he said. The animal park’s website says Mike and Chrissy Hodge moved to South Africa from the UK in 1999 and opened their lion project in 2003. Realising there was a need for a tourist attraction closer to the town of Thabazimbi, they eventually opened the Marakele sanctuary in December 2010. This article was first published by The Guardian on 01 May 2018.